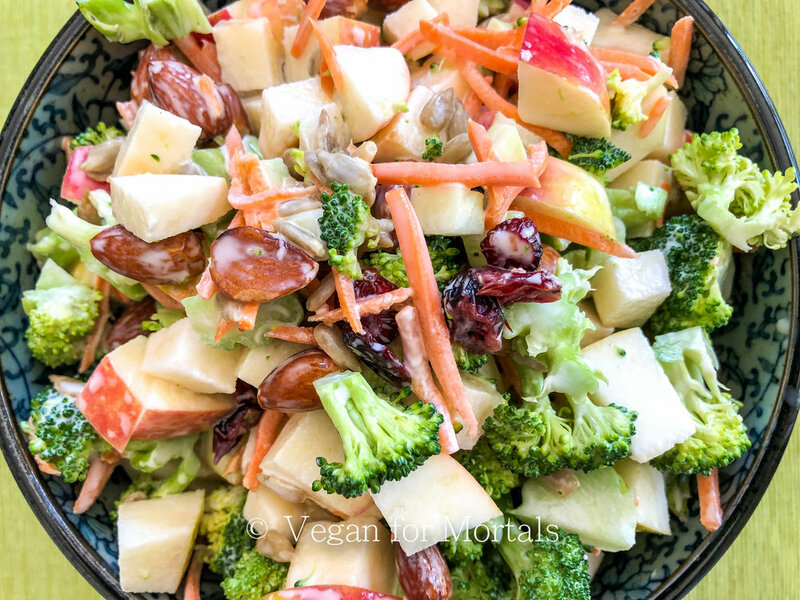 Chop the broccoli and apples into bite size pieces and mix into a large bowl with the shredded carrots, dried cranberries, hickory smoked almonds, and sunflower seeds. 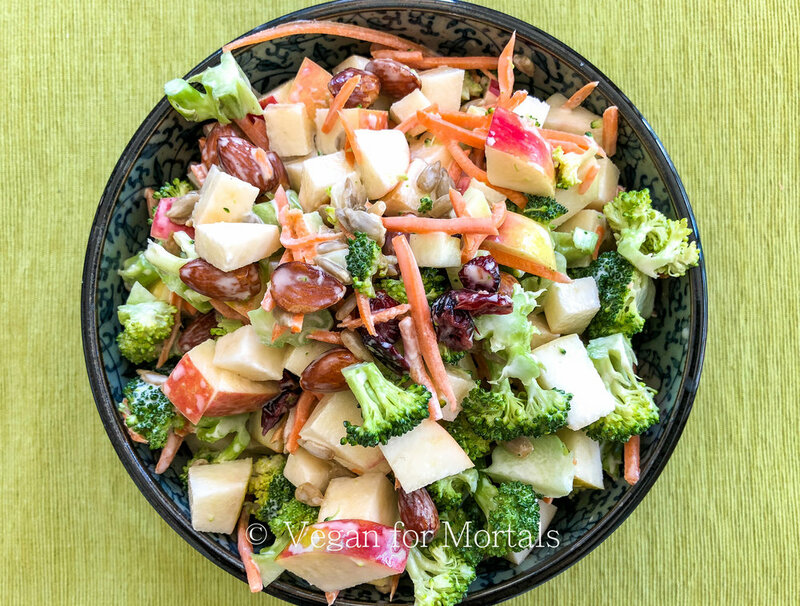 Mix in the Vegenaise and apple cider vinegar. Chill about 1 hour before serving.